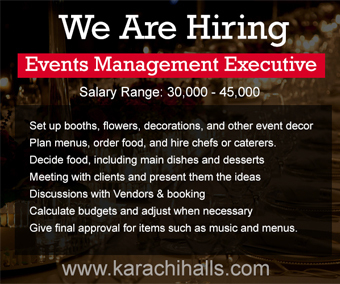 Your wedding is once in a lifetime event in which you must not afford any mismanagement or chaos. 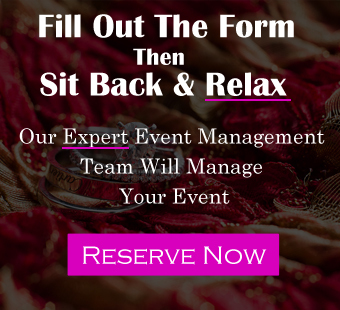 To avoid any mess in your events and to plan a smooth wedding session you must list down your priorities and create a checklist to minimize any loopholes through out the phase. We have listed down some essentials which you must think of, well before the wedding month. It can be any of your relative or a friend close enough to take care of things in a timely manner. A supervisor will be the man in charge of all the arrangements and preparations. Weddings cards are still the most popular medium of wedding invitation. Even though the influence of Social Media had grown with an exponential rate, but people in Pakistan still awaits for the wedding card before considering to attend the reception or not. Therefore do make a comprehensive lists of guests and deliver them cards 10 good days before the event. Get your measurements and buy the clothes or get them to tailor according to those measurements. Don’t do it too long before the wedding to make sure your unsteady weight doesn’t cause any problems on the last day. Make payments and deliverables on time to avoid any inconvenience. Ask the wedding supervisor to get the updated costs from each and every vendor. And make your budget according to that updated prices. Always keep room for some extra expenses because you have to bear some last minute expenses through out the season. of hospitality. Its always good to have a partition in your receptions. The successful events are usually judged by their timings. You will have to make sure the timings are perfect. This means the arrival, processions, catering, food serving on the night of event. And delivering cards, making payments, ordering dress, making decorations though out the wedding phase.